After a lot of thought and many requests, I've decided to make my sliding scale public. I hope it enables more people to benefit from this work! 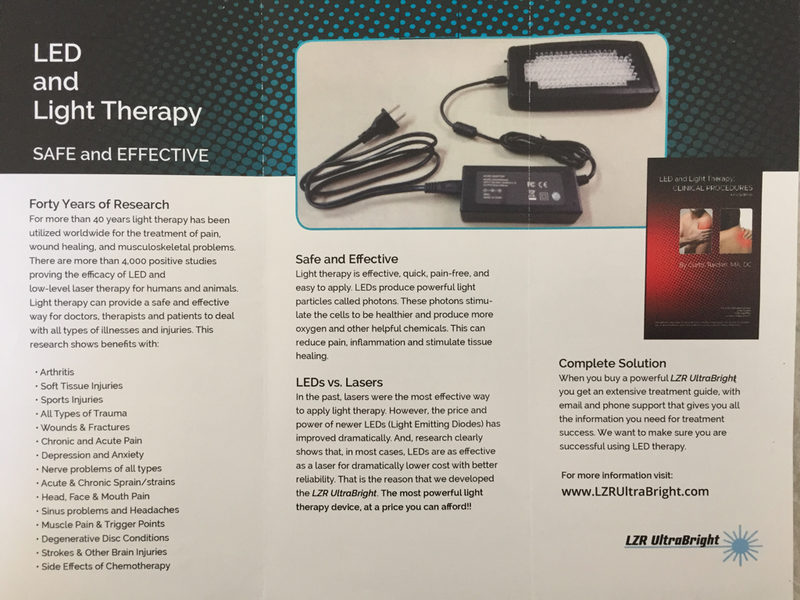 Now offering light (LED) therapy! 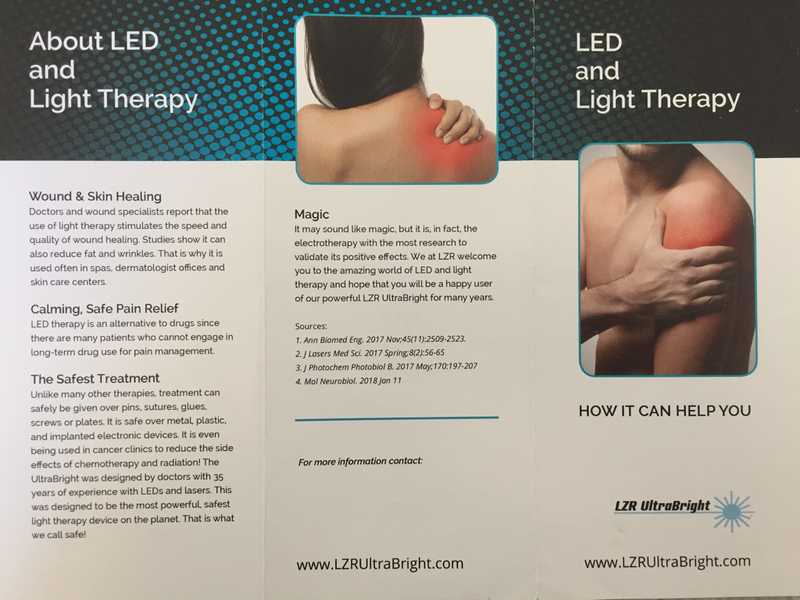 There is a fast growing body of scientific research demonstrating the health benefits of red and infrared LED (and laser) light therapy. It has been shown to reliably reduce swelling and inflammation, improve bone regeneration, improve mitochondrial function and help cellular regeneration...the list goes on. I have been following the research on cold-level laser therapy for awhile. During a short stint working at a PT office I heavily utilized one on myself and clients. I haven't invested in a device simply because the cost is prohibitive. Now (also) working in oakland! Just a quick note to let everyone know I am now offering sessions in Oakland! This is in addition to my office in SF. Be well! ​Here is one set of movements I put together that I've been exploring over the last few years to help free my feet, ankles and low legs for full movement and functioning. This set is made up of pandiculations (in the tradition of Thomas Hanna). 2) A controlled or voluntary lengthening (eccentric contraction), of the same muscle(s) under load/resistance. This is similar to an isolytic contraction. Feel free to follow along; however, you'll want to explore these movements MORE SLOWLY than I am demonstrating. Also, this is a limited example of what is possible. Keep exploring and find what else works for you! Some of you may remember that I studied the GYROTONIC® method last year. This year, I dove further into the core material, and now I am offering private sessions and group classes in the GYROKINESIS® method! The GYROKINESIS® method practiced without any specialized equipment: just a stool and a mat. I've been surprised to discover that I enjoy the GYROKINESIS® method even more than the GYROTONIC® method, and have added it to my personal daily practice. I offer private sessions at my office at ActivSpace on 18th Street in the Mission, and group classes at the Movement Lab SF on Treat at 20th Street. Current offerings include a 90-min class at 4pm on Thursdays. I plan to add at least one more weekly class. Let me know what time is good for you! I feel so passionate about this work, I'm offering GYROKINESIS® classes and private sessions on a pay-what-you-can basis. Everything you give will contribute to this work reaching more people! GYROKINESIS® classes can be adapted to fit anyone's ability. People from all walks of life - including accomplished athletes, fitness enthusiasts, senior citizens, and people recovering from an injury or dealing with a disability - take Gyrokinesis classes. By the end of a Gyrokinesis session, one's entire system is awakened and brought into greater balance. Focus on the breath stimulates the parasympathetic nervous system, resulting in a sense of calm, wellbeing, and mental clarity. The Gyrokinesis Method is a movement method that addresses the entire body, opening energy pathways, stimulating the nervous system, increasing range of motion, and creating functional strength through rhythmic, flowing movement sequences. It is a unique method, which coordinates movement, breath and mental focus. II. 2nd Annual Summer Fire Sale! Time to burn away everything extra! From today until the end of August, any new patient who mentions this deal will receive their initial session (normally $200) for only $125! And for referring your friends, you'll receive 30 minutes of session time or a free class! Returning clients, you can book your individual July and August sessions for a 10% discount! For those who've been eyeing the 10-series (and other packages), pay in full by the end of August and get 15% off! GYROTONIC® and GYROKINESIS® are registered trademarks of Gyrotonic Sales Corp and used with their permission. I am offering sliding scale GYROTONIC® Method ($45-85) sessions in Oakland and San Francisco, call or email me for times. Everyone is welcome to offer space, time, and suggestions or lesson plans for a meetup. Feel free to post RELEVANT events, and local offerings. To open the group, I’m extending an open invite to join me for (informal) morning practice at my home in West Oakland. I have great exercises for waking up in the body--including concepts from Qi Gong, Gyrotonic, Somatics, Fascial Release, and elsewhere--that I’d love to share. Hey there East Bay humans, I'm looking for space to see bodywork clients very soon. In the meantime, my SF office is still reeeeal close to the 16th st. BART--come see me! FYI, I'm eventually looking for 600-1000 sq ft. of Live/Work (or commercial) space in order to open a center where I can teach and host workshops in addition to my private work. Let me know if ya see anything! Sign-up for a free 20 minute consultation!